Red Voodoo Knife Block – the original and still the best! The red voodoo knife block is the best selling colour – why? Is it because of the devilish colour? 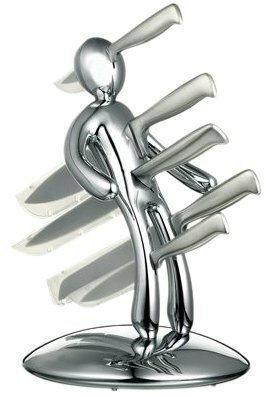 Or is it because red is the colour of passion – making this knife holder perfect as a gift? Or perhaps it’s because so many people buy this snazzy gift around Christmas time and with some cotton wool it would look a bit like Santa Clause? Whatever the reason you can’t go wrong with this item! 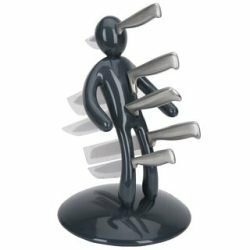 The most sort after Christmas Voodoo Knife Man.. The Aubergine voodoo knife holder can slice through so much more than simply egg-plants. It works on cheese, meat, bread and just about any foodstuff you can think of!..